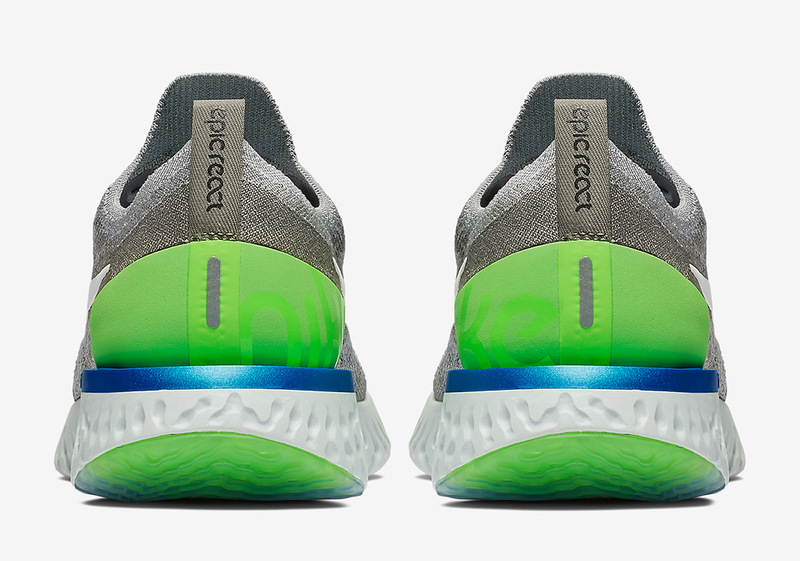 Nike’s Epic React Flyknit—a lightweight running shoe that boasts some of the most advanced technology on the market today—has just released in a colorway that any Swoosh lover knows well: the famous “Sprite.” Originally made popular by LeBron James‘s signature basketball line, the now-ubiquitous combo of bright green and blue has since appeared on a plethora of Nike models from lifestyle shoes to high-performance footwear. 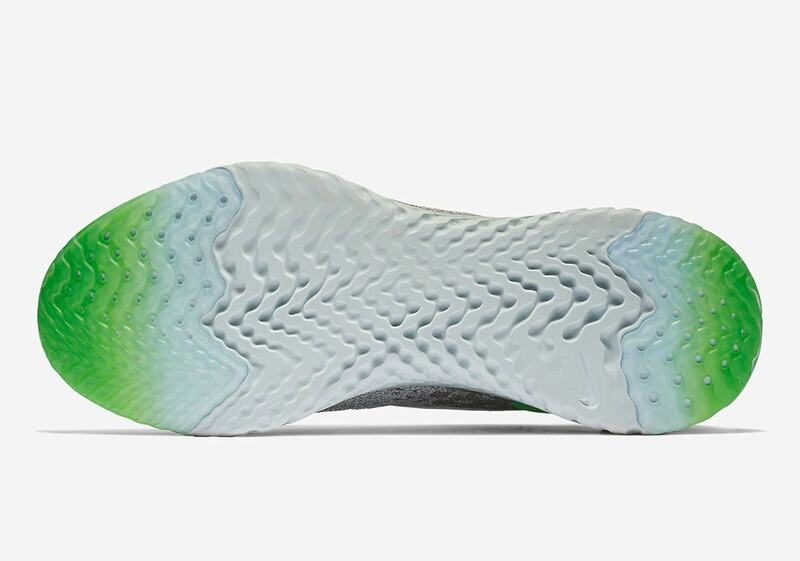 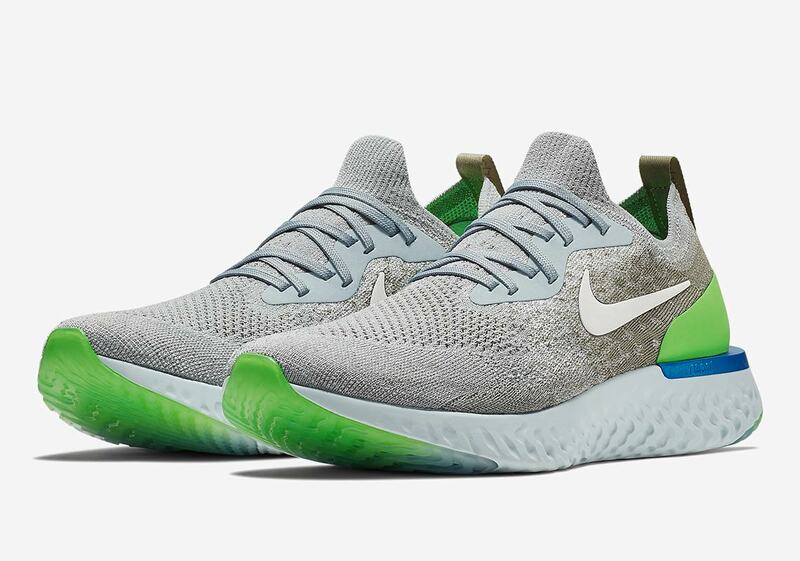 The “Sprite” Epic React features a wolf grey flyknit upper with flecks of darker grey for an interesting two-tone look, while the crisp lemon-lime detailing arrives via the bright green heel cage, small blue midsole plate, and semi-translucent outsole hits. 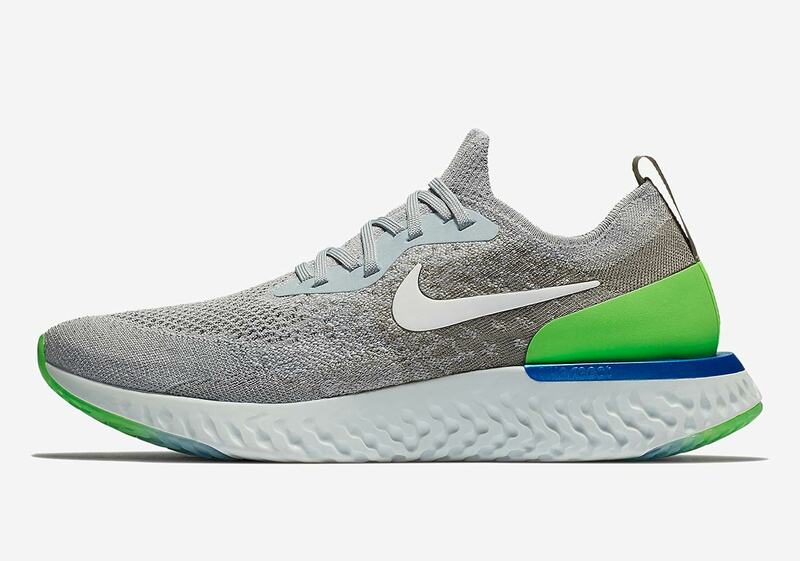 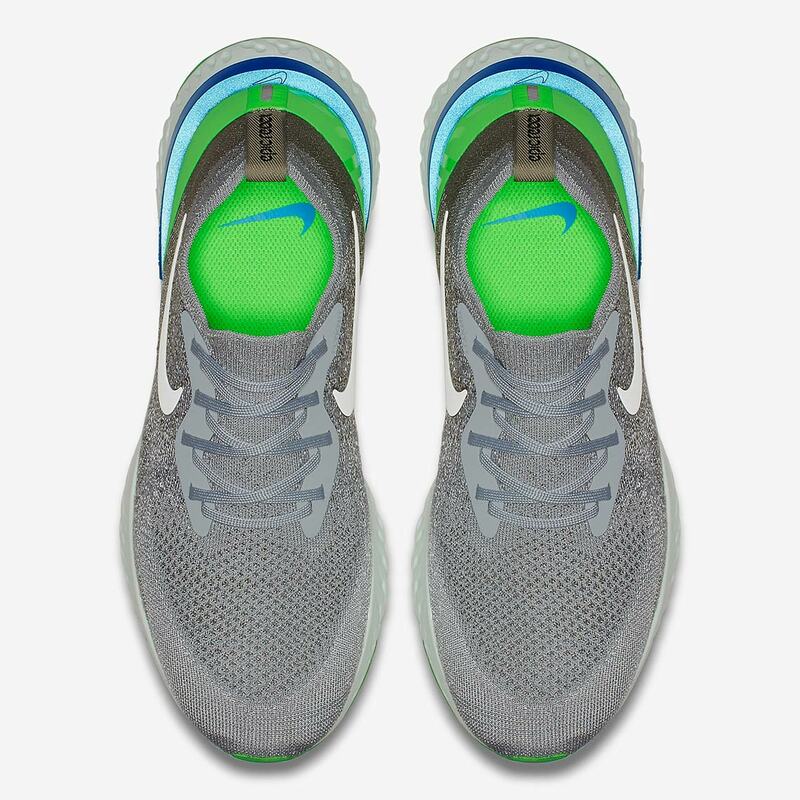 A plain white Swoosh on the upper provides branding, while a grey React midsole offers futuristic Nike cushioning, equally as ready for an arduous five-mile run as a day walking around the city. 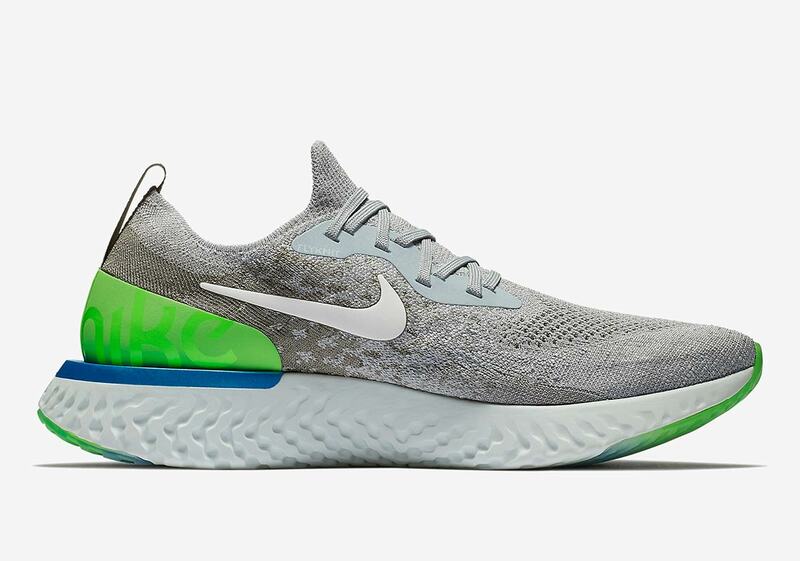 These refreshing new Epic Reacts are available now on Nike.com, and retail for $150 USD.